21-year-old entrepreneur Neha Husein from Dallas Texas created an app called Just Drive this year. 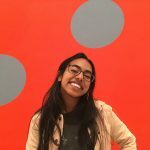 Neha is a senior at Southern Methodist University (SMU) in Dallas, Texas majoring in human rights and marketing with minors in advertising and sociology with a Non-Profit emphasis. Here, she talks about creating Just Drive, being a college entrepreneur, and the importance of representation. Just Drive is an app designed to reduce the number of accidents caused by texting and driving. According to the CDC, distracted driving kills nine people every day in the United States and injures 1,000 people. After her 2014 accident involving a driver who was texting and driving, Neha was motivated to find a way to decrease this number. Just Drive is out now in the App Store. What is your app and where did you get your inspiration for it? In February of 2014, I was rear-ended by a driver who was texting and driving. She said she had just glanced down at her for a second and by the time she looked up she had already hit me. After that day, I was honestly so stunned with fear. I didn’t understand why I felt so anxious about it. I constantly felt like everyone around me was texting and driving and I would always just be paranoid about cars in general. I was studying abroad in South Africa and our final project for the class was to come up with a project or proposal or something that you could apply once you got back to SMU. I wanted to take it a little bit further and focus on distracted driving as my mission, so I came up with the app. My company is called Just Drive. It’s an app that prevents distracted driving accidents through incentives and rewards. The way it works is the longer that you don’t use your phone and drive, the more points you get. The points you get can be redeemed for gift cards, coupons, things like that. How are you going about creating it, you said it was for a project. What did you do for the project and how did you extend that? It was honestly a paper at first, just an idea that I had. I came up with some financial statements. When I got back to SMU, I started entering competitions, like pitch competitions and business plan competitions to get initial money to get it off the ground. I worked with a developer to come up with a wireframe. So like screenshots of what the app would look like. Then when I won the business plan competition, I hired an app developer and we work together to come up with the app itself. 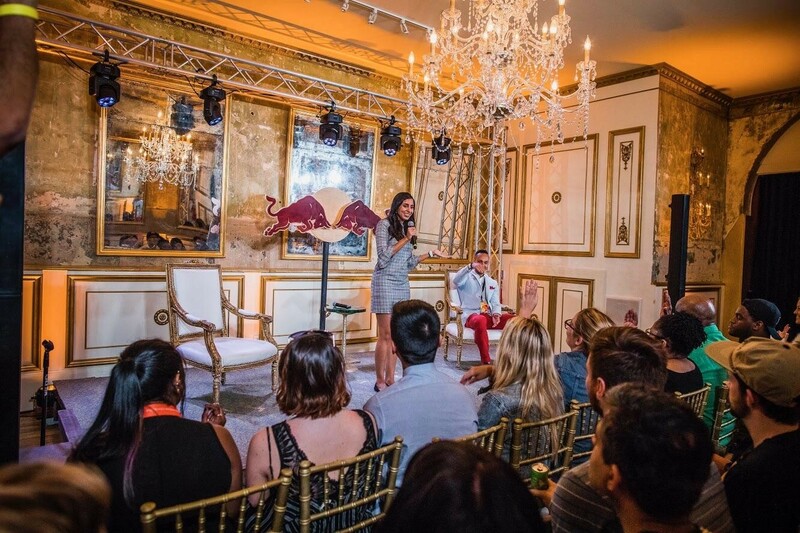 In the middle of that, I entered the Red Bull Launch Competition and they sponsored me to go to South x Southwest and I was able to pitch my idea there as well. This was where everything started taking off. That was when I got a lot of publicity and attention, which was kind of my goal all along. Even if my app fails, which is something very realistic because 92 percent of startups fail, the whole point is that people are talking about distracted driving and more people that talk about it, the less likely people are to do it. If people start to see it as something they are not supposed to do rather than something that is frowned upon, it will make a difference. 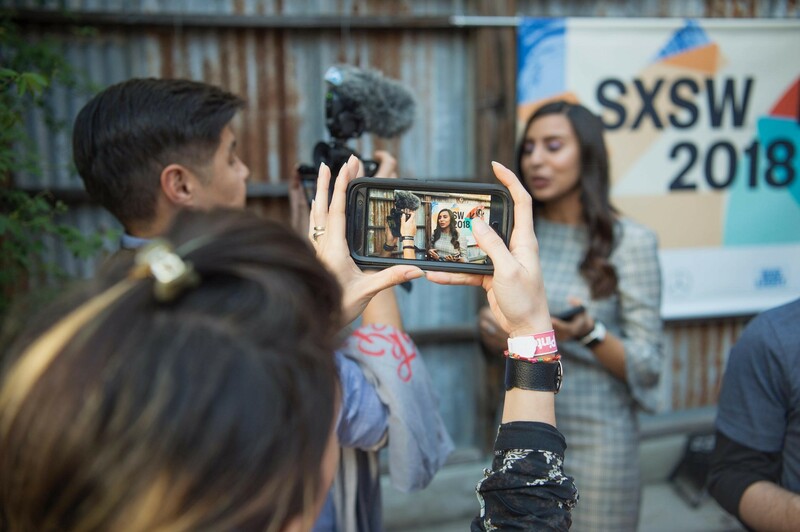 Can you expand on South x Southwest (SXSW) and the Red Bull Launch Competition? The people there were all college entrepreneurs that were doing something in their respective universities. It was really really really cool. I felt undeserving to be there because everyone’s ideas were out of this world. It ultimately culminated with us pitching in front of venture capitalists (VCs), Red Bull executives, and people attending SXSW. It was one of the scariest things. I messed up a couple of times, but it felt really good because that was the first time I saw myself as an entrepreneur rather than a student. It was a huge mind-shift and perspective cleansing because I was really in my element. I think that was where I needed to be. How did SMU help you and can you talk about the Big Ideas competition? The Big Ideas Pitch Competition is a 90-second pitch to VCs or people in the entrepreneur field. If they like it and see potential in it, you win a $1000. It is a pretty simple contest. It just gives students hands-on learning and helps them with applying their skills and knowledge to a business setting. After that is their business plan competition, where you have to create a 7-10 page business plan with an executive summary and a budget proposal. It was really intense, but it helped me so much because I always refer back to it when I am doing things now. Then I had a four-minute pitch. There is a Q&A portion and that one is a lot harder. They grill you and they want to see where your revenue streams are and how sustainable it is. Then you get $5000. It was a really great process and I am very thankful for SMU to provide these opportunities for me. I come from a socio-economic background where I can’t afford to have $6000 to start something. It would have been very unlikely for me to be able to pursue this without the financial means that SMU has provided. When going into projects for social change, do you think skill is more important, or passion? You know, that is a great question. As a student, I think that it is important to have both. I know that is a very political answer. Passion is everything. Passion is what is gonna make it happen. But without the skills, it is inevitably gonna fail. It’s not even like you need to have the skills, you need to recognize your knowledge gaps and find people to fill them in. That is what makes a business successful. I think it is really really important to have both. What has been the hardest part thus far? I’ve had a lot of failures so it’s hard for me to pick the biggest one. It was a big growing process for me. But the hardest one? Gosh, that is really tough. I think time management. 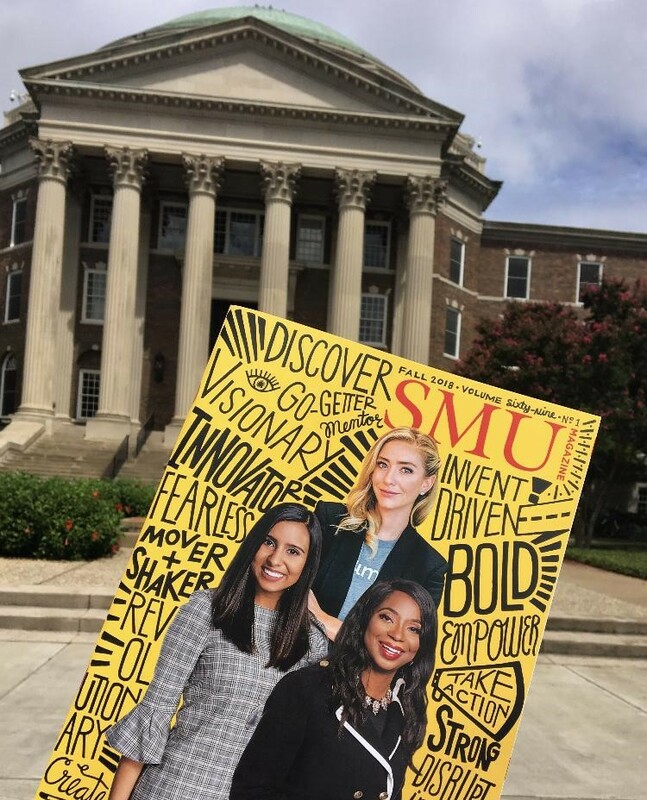 As a student, an RA, someone who works at SMU, you want to prioritize this because it is something that I am passionate about. You know how people say if you really care about something, you’ll make time for it? That’s exactly what I have to do and it’s been the biggest challenge. Making time for things I care about and not sacrificing what is important to me. What are you most scared of? I’m scared for it to fail. I am ready for it because I don’t want to have this cloud around me thinking that this will be the next freakin’ Facebook or anything. But obviously, I’m scared for it to fail. I’ve put a lot of time and effort and I care about it a lot. If it were to fail, I would be disappointed. I would be happy if it impacted one person. Even if one person is putting their phone down when they drive, that is enough for me. Do you have any advice for other students, other young girls, that might want to be an entrepreneur? One thing that I wish someone had told me is that there is no reason why I can’t do it. There are limitations, I am not going to pretend that there aren’t. There are financial barriers and other barriers in terms of opportunities provided by the school. There are things that can stop you, but being a woman, being a person of color… These are things that won’t. You just have to push past the fact that 2 percent of funding goes to women. You just have to push past that and understand that you are more deserving than anyone and not to let anyone stop you. Going off that, I wanted to touch on representation. Do you think that it is important for people that look like you do things like this? Honestly, I can’t think of a lot of people that look like me in the entrepreneur space, but I have taken it upon myself to be that person for other people because I do see it as important. I am thankful for the people who have reached out to me throughout the process. In terms of representation, it is so important for women of color particularly to motivate each other because it is so easy to lose that fire when people are constantly trying to blow it out. Last question, do you have a Brown Girl crush? You, does that count? Hahaha. Yeah, plenty. My brown girl crush is Michelle Khare. She used to work for Buzzfeed and now has her own Youtube channel where she does extreme challenges and pushes boundaries. She also talks about how Indian women are often put into these boxes and do things based on stereotypes. It is really awesome seeing someone doing things that I wish I was doing and pushing me out of my comfort zone. Previous article#BollywoodThrowback: Does ‘Kuch Kuch Hota Hai’ Hold Up 20 Years Later? 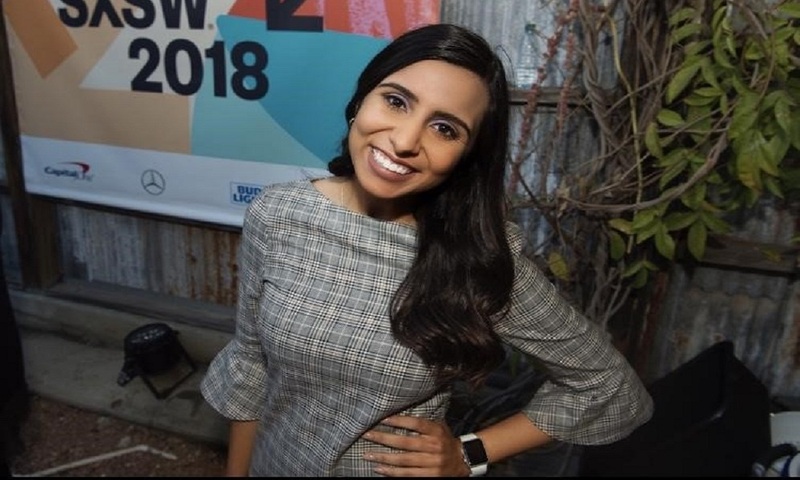 Sriya Reddy is a student currently attending Southern Methodist University in Dallas, studying journalism, history, and corporate communications and public affairs. Reddy is passionate about diversity, representation, and her culture and also prides herself in being a bharatanatyam dancer. Some of her hobbies include writing, taking Buzzfeed quizzes, and going to museums.